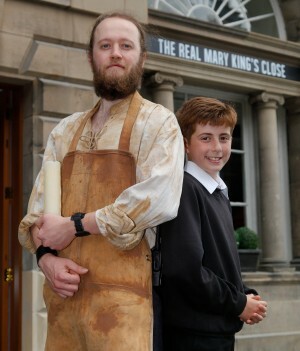 A new face joined the cast of characters at The Real Mary King’s Close for a special one-off performance as part of the School Competition: History in your Hands. The Candlemaker was created by Dunbar Primary School pupil, Adam Barnes, aged 11. Adam and his classmates joined the Candlemaker on an exclusive tour of the Close which was inspired by the original poem written by Adam himself as part of the School Competition: History in your Hands. The competition was judged by children’s author Philip Caveney whose children’s fiction novels, Crow Boy, 17 Coffins and the recently released One For Sorrow, were inspired by The Real Mary King’s Close and the city of Edinburgh. The competition was set up to engage with school children whilst encouraging them to get involved with Edinburgh’s history in a creative and inventive way. From the entries received, it was clear to see that the pupils had gone the extra mile to understand the history of Mary King’s Close and the people who lived, worked and died on the Close. In addition to the tour of the Close, the pupils were able to experience the new exhibition area which forms part of the £500,000 investment by the attraction’s operator, Continuum Attractions. The investment includes the reinstatement of doors on the Royal Mile, new welcome area and a 40-seater indoor café. The Real Mary King’s Close welcomes school groups throughout the year to experience the uniqueness of Edinburgh’s world famous hidden history. 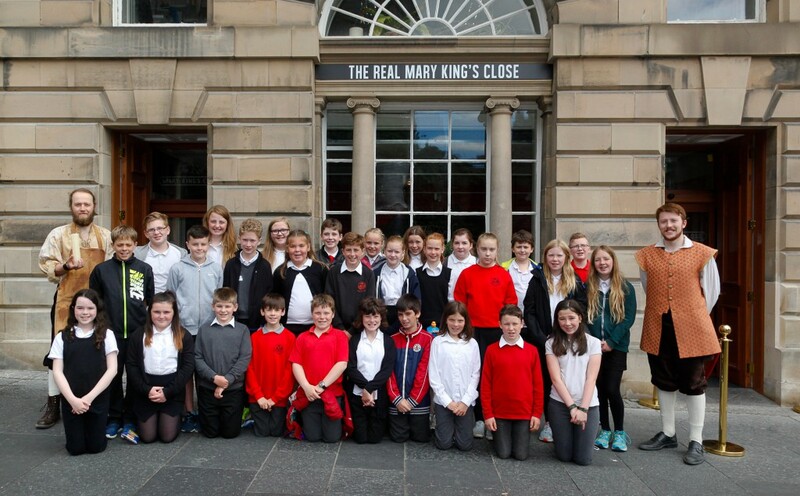 For further information regarding school visits please contact Marta Coco mcoco@realmarykingsclose.com or visithttps://www.realmarykingsclose.com/groups. The Real Mary King’s Close is part of Continuum Attractions who offer a host of cultural visitor attraction experiences across the UK, from the hallowed cobbles of Coronation Street to Portsmouth’s iconic Spinnaker Tower.